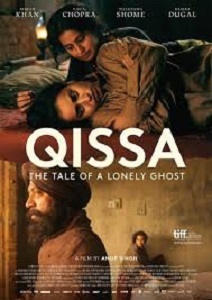 Review Summary: An incredible film, with nuanced performances, Qissa is not to be missed! A marvel of ambition, intelligence and observation veined with thoughtprovoking gender defining moments. Anup Singh’s ‘Qissa’ is an expertly odd depiction of obsession, partition and gender discrimination packed with a sweeping involving and haunting punch. Irrfan and Tisca are terrific in Qissa. Go for this one if you are a fan of content driven cinema! The raw nature of this film is not meant for everyone and so watch this film if you want to see something meaningful. All our lives we try to be what we are not. Some of us lie about our sexual orientation to ourselves or to others. In one way or another every life is layered in lies. Borderline shocking and deeply effective!